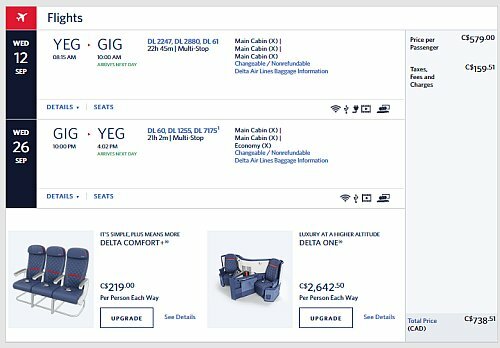 United Airlines and Delta are showing flights from Edmonton to Rio de Janeiro, Brazil for $738 CAD roundtrip including taxes. There are also flights from Edmonton to Sao Paulo, Brazil for $798 CAD roundtrip. The flights have 2 stops each way. - Look for the dates that are $738 to $798 roundtrip. 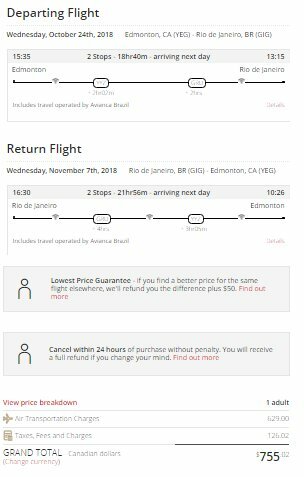 Update 7/19 - Air Canada and partners are now showing flights from Edmonton to Rio de Janeiro and Sao Paulo, Brazil for for $754 to $792 CAD roundtrip. - The Air Canada flights connect in Toronto. 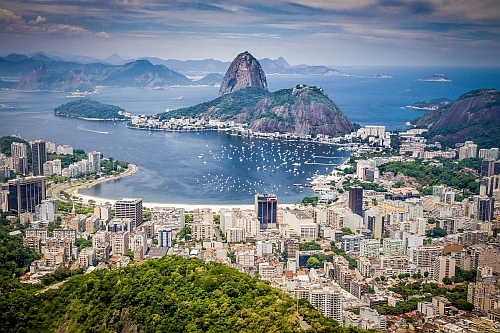 - The Air Canada flights to Sao Paulo have 1 stop each way. Edmonton to Rio de Janeiro or Sao Paulo, Brazil - $715 CAD roundtrip including taxes | new record! edmonton, yeg, flight deals, delta, south america, united airlines, sao paulo, brazil, gru, rio de janeiro, gig and sao.